Caitlyn Jenner has been denied a chance to meet Saint West because Kris Jenner won’t allow it. The momager has been playing gatekeeper to Kim Kardashian and Kanye West’s son, according to a report. Kris is doing her best to block Caitlyn from bonding with their newest grandson because she doesn’t want Cait to benefit from any more Kardashian publicity. Even though Kris Jenner has come face to face with Caitlyn several times, there is no love between the former spouses. 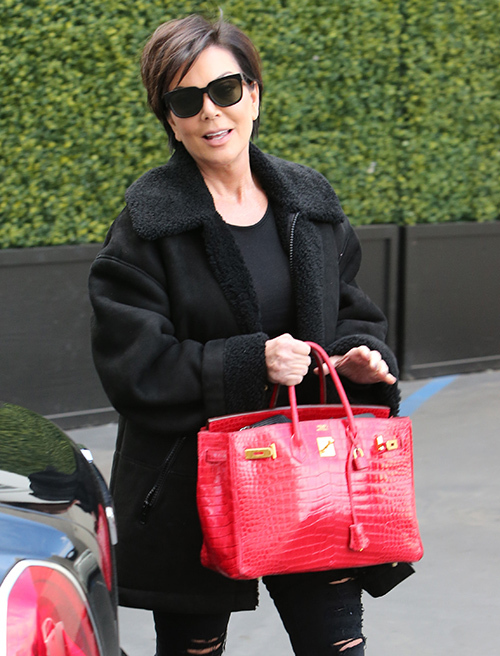 Kris is jealous and feels that Caitlyn Jenner upstaged her after announcing her plans to transition. Then Cait left Kris in the dust when it came to “I Am Cait” and the media circus that surrounded the newly transgendered star. Now that the media storm is starting to settle, Kris Jenner is back on top and looking to distance herself and her family from Caitlyn. It’s pretty common knowledge that if Kris can’t make money from a situation, she wants no part of it. Now Radar Online is reporting that Kris is using her clout to push Caitlyn right out of the family. Since Saint West’s birth, Kris has been in charge of who comes and goes while Kim Kardashian recovers. Given that Kim and her hubby, Kanye West, are living with Kris right now, that means she can put the brakes on any visits from Caitlyn and that is exactly what Radar Online is reporting that the momager has done. Of course, Kim Kardashian could go visit Caitlyn with Saint West if she really wanted. Considering the lack of North West pictures with Cait in them, it’s pretty obvious that Kim doesn’t really care if Caitlyn is in the picture or not. Kardashian always will put Kris first. After all, her momager is the one who made her famous.